I almost didn't get my March quilt-along blocks done in time, but I managed to squeeze them in on Saturday. 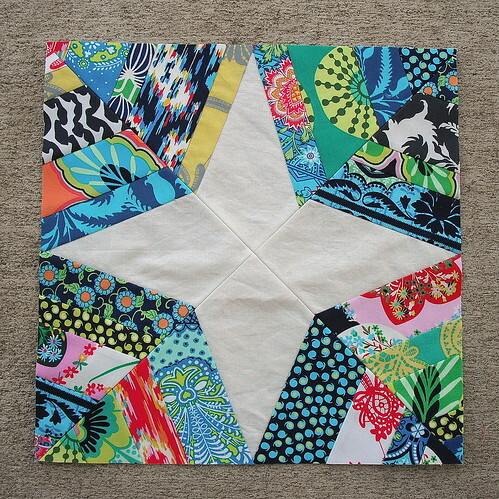 First up is the HST quilt-along block for March. I like how the blue triangles add just a bit of color around the perimeter of the other triangles. 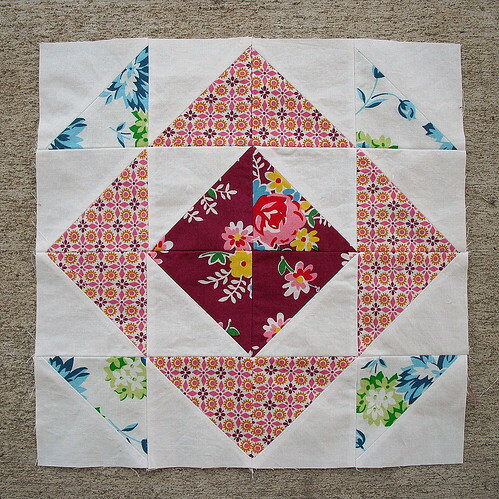 And for the Craftsy BOM, March ended up being foundation piecing, i.e. string blocks. I guess I haven't made enough string blocks this month yet. Haha! These were quick and easy, and it was neat to sew them on fabric instead of paper. 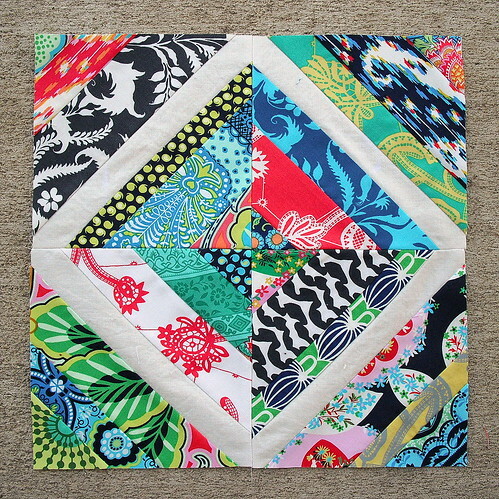 If I knew of this method before doing my rainbow quilt top, I probably would have used it. The second Craftsy block is a broken spider web block, also done with foundation piecing. 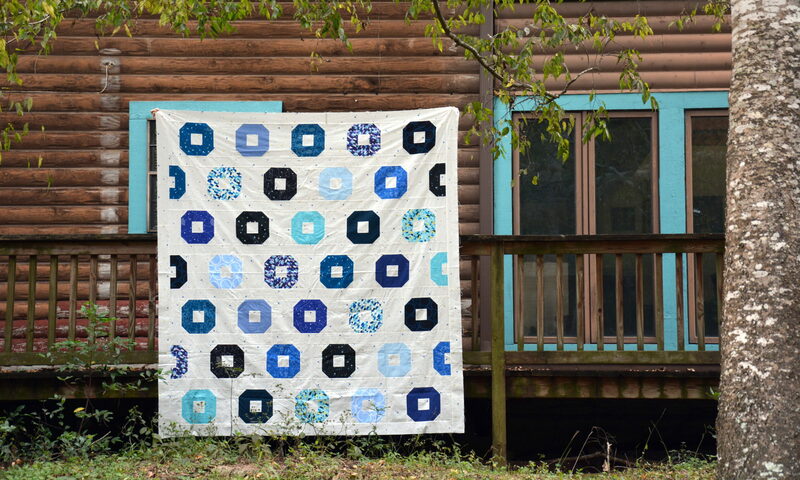 I've always loved these blocks and was shocked to find out how easy they are to make. Maybe this will be my next scrappy project to work on!